Gordon Meldum QPM, strategic policing advisor at apd communications and former nca director of intelligence. Meet Gordon Meldrum QPM. Strategic Policing Advisor for APD Communications and former Director of the Organised Crime Command and Director of Intelligence for the UK National Crime Agency. Gordon, who maintains an impressive 30-year policing career, throughout which, he successfully led various public safety organisations in a breadth of roles including Deputy Chief Constable, Director General of the Scottish Crime and Drug Enforcement Agency and in his directorships at the NCA. Further afield, Gordon has earned his stripes in law enforcement across Europe, Australia and the USA, where he was selected to complete the Fellowship Programme with the FBI at their academy in Quantico, West Virginia. Now retired from law enforcement, Gordon is a specialist advisor in counter-terror and counter-organised crime, as well as serving as Non-Executive Director or Advisor in a number of organisations - including here at APD. In this exclusive interview with Gordon, we get his insight into some of the most acute pressures facing our emergency services today: demand, collaboration and budgets. But first, we ask Gordon to reflect on 2018 for public safety. What have been the most memorable events for our emergency services, nationally, in 2018? Demand this year has been unprecedented - and driven further by several keynote events taking place throughout the country and around the world. He said, “2018 was a significant year in a number of ways – we had some huge, complex and difficult events to police and investigations to conduct. If you think of the policing operation for the World Cup in the summer, that was a huge operation in terms of sending personnel from a number of different public safety organisations to Russia and managing the events that were held within the UK to watch the games. It was a big commitment and it was conducted incredibly well. We can all see the World Cup took place, with little or no disorder – all the forces supplied resource and intelligence”. 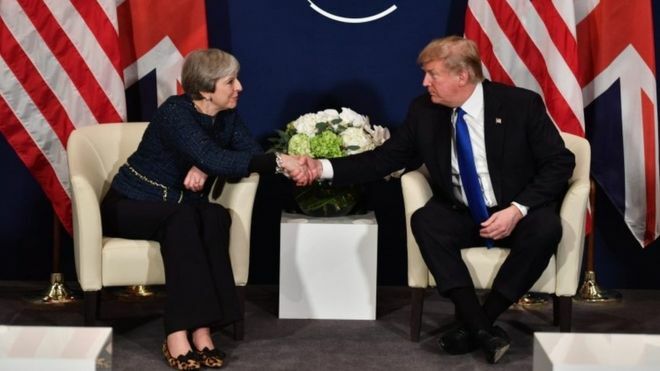 He continues, “At the same time, we had the visit from the President, Donald Trump, which was another massive commitment. He spent time up and down the country and the amount of resourcing that was put into that visit to allow it to happen safely, to allow the peaceful protests, of which they were many, will have been immense. On the investigation side, we saw the Norvichok poisoning in Salisbury which sadly cost one man his life and impacted a number of people. The Wiltshire Police investigation was supplemented by Counter Terrorism Command from the Metropolitan Police, and the hours, resource and detailed investigation allocated is a real credit to British Policing - demonstrating that they are able to conduct complex, global investigations. Over and above all of that, a huge success is the continuation of protecting the public - the battle rhythm of 365, 24/7 emergency services haven’t missed a beat - they have carried on regardless. There’s so much in the press about the emergency services having less money, less resources, less people and increases in demand, but they never get to a spot where they hold their hands up and say we’re closing, we can’t take any more. That continual response from our emergency services must be celebrated”. Demand: how can we manage it better across the public safety sectors? Gordon explains, “Every emergency service is talking about demand and how they are trying to deal with it. There is no definitive answer – it will be a collaboration of things, which will help to deliver the service that the public need and require”. He continues, “Demand is increasing – we know that for a fact. But what that demand looks like will be different, depending which area in the UK an organisation is responsible for. The patterns of demands within each organisation over the course of a year will be vastly different – there will be common peaks for all, but a rural emergency service function will have a completely different demand on them, as to a city centre emergency service. It is not a ‘one cap fits all’ solution”. “As technologist, we need to embed ourselves into the data, analysing the trends, the spikes, the dips, the channels used, the response time, dispatch difficulties and build dynamic solutions based on this information. Understanding the profile and granularity of that demand can also enable us to collaborate with suppliers like APD to create software that combats certain aspects of demand or utilises existing services better, based on actual insight and forecasting”. Gordon concludes, “Without this knowledge and understanding of demand, we will always struggle to help - so this really is the first step in its management for the future”. What about collaboration: what does this mean for our emergency services now and tomorrow? In 2017 we saw the first step towards a unified Fire and Police in Essex, and in 2018 the transition was complete. 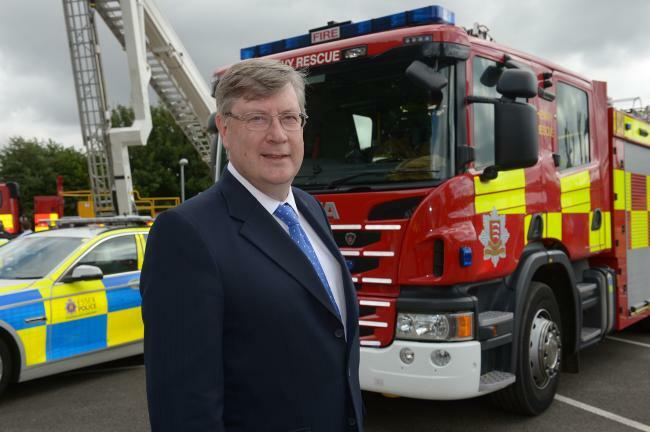 It saw Essex Police Crime Commissioner, Roger Hirst taking both Fire & Rescue and Police resourcing and merging them. When asked about this shift and how it could be rolled out on a wider scale, Gordon first gives his opinion in general terms about the merge. He says, “It would be interesting to hear from Roger, to see what learnings are, what improvements can be achieved, what efficiencies were made, and what reflection does he have after those first 12 months”. “We’re seeing up and down the country, the Fire & Rescue and Police services are working much closer together – for example, both Merseyside teams are now in the same building and in the Humberside region, Chief Super Intendent Christine Wilson from Humberside Police has been on secondment within Humberside Fire & Rescue for the last six months to gain insight and learnings. If you could start again with blank piece of paper, it would make a lot of sense to take the UK as a whole and split it by region with one emergency service for each region - this would mean that the fire and rescue, police, ambulance and coastguard would share resource, learnings, technology, infrastructure and buildings serving the same area. As technology advances increase and budgets get tighter, I could absolutely see this as an option. In 20 years’ time, things will have progressed so much that the above and so much more will absolutely be achieved – the art of the possible is immense. In the interim, MAIT is helping organisations to share data and insight, with the view of supporting the public better. We can however learn a lot from the Police Scotland model, which recently moved to one shared force. This is slightly different as it was the merging of police forces only, but in principle the same could be done for the emergency services as a whole. What can we expect in the future for the emergency services and their control rooms in particular? Gordon continues “Next year, we need to understand and deal with demand better – scope out where the demand is coming from: is it traditional calls or is it through social media? And blend the teams appropriately to fulfil the demand from the public. How many people answer the phones compared with the numbers on webchat, for example. The budgets vs resources battle will also undoubtedly continue. Recent figures show there’s 21,000 less police officers than in 2010, which is a big difference in just eight years. We know that the emergency services need to try and do what they can, to continue to deliver adequate service to the public, no matter what the budget is, but this is increasingly difficult in the current climate. There will be another host of significant incidents that we cannot forecast or predict, nor do we want them to happen – but we know they will. So, for 2019, we need to be as ready as we can be. Finally, I expect to see continued collaboration across the emergency services throughout 2019 - it’s likely that this will be further pushed forward by technology enhancements and/or budget restrictions. One of the many things that’s great about our emergency services is the resilience, the strength and the camaraderie: when something happens, we bounce into action no matter what - and that’s what carries the service forward and continues to protect the public. If you'd like to find out more about how we can help your control room take advantage of the latest technology, let us know at hello@apdcomms.com or call us on 01482 808300.